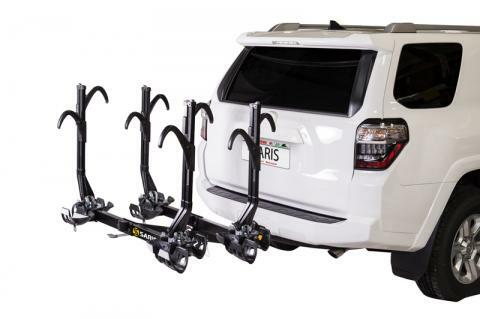 When adventure calls, you need a hardy bike rack to get you and your collection of bikes there. That’s why we built the SuperClamp 4-bike from the ground-up to be the safest, toughest, and lightest 4-bike platform hitch rack on the road. It all comes down to its super compact design, with two bikes carried on a single horizontal bar. Plus, each bike rack undergoes unparalleled testing in the heart of tundra country – meaning, if it survives here in Wisconsin, it will thrive wherever your compass leads.